This World of Dew - available for purchase now! This World of Dew is the third release of Aaron Shragge’s duo with Ben Monder. The duo, an exploratory meditative collaboration, has been praised as both “thoroughly modern with a definitive sound...” (The Birmingham Times) as well as “…lyrical and heartwarming…” (Jazz Times). The album features guitarist Ben Monder’s otherworldly harmonic virtuosity in expansive sonic textures that highlight Shragge’s subtle and distinguished lyrical voice on the shakuhachi and dragon mouth trumpet(custom microtonal instrument). New compositions by Shragge are inspired by the writings of both ancient and modern poets: Kobayashi Issa, Matsuo Bashō, Li Po, Nishiyama Sōin and Charles Bukowski. The inspiration for these new pieces came partly from Shagge’s immersion in the poetry of Charles Bukowski in which he read all of the poet’s work over the span of a year as well as from translations found “The Poetry of Zen” (Shambala, 2007) first introduced to Shragge on a Zen retreat lead by Roshi Enkyo O’Hara. Tracks 2-7 make up “This World of Dew Suite” which following the emotional arc of poet Kobahashi Issa’s grief in mourning the loss of daughter at a young age. What ties all these compositions together is how they explore themes of loneliness, perseverance and impermanence. Aaron Shragge is an active in the NYC improvised/creative music scene. Having collaborated with such notable musicians as Dave Douglas, Ben Monder,and William Parker, Shragge has performed at renowned festivals such as the Montreal International Jazz Festival, L'Off Jazz Festival, and the Festival of New Trumpet Music. Aaron graduated from the distinguished New School Jazz Program and furthered his education receiving a masters from NYU music therapy. Aaron's unique instrument the Dragon Mouth Trumpet was designed to expand the trumpet’smelodic capacity and is the result of over a decade of studying both the Shakuhachi (Japanese, Flute) as well as North Indian Vocals. Aaron Shragge's current projects include a duo with Ben Monder, a Jazz quinte that plays the music of Tom Waits, his continuing solo works for Dragon Mouth Trumpet/Shakuhachi and ongoing collaboration with Brooklyn Raga Massive. Ben Monder a veteran of the NYC creative music scene, has been described as being “...one of the most original guitarists of the 21st century” (Hartford Courant). Monder has performed with a wide variety of artists, including Lee Konitz, Billy Childs, Andrew Cyrille, George Garzone, Paul Motian and also contributed guitar parts to the last David Bowie album, “Blackstar”. He has appeared on over 200 CDs as a sideman, and has released 6 as a leader: Amorphae (ECM, 2015), Hydra (Sunnyside, 2013), Oceana(Sunnyside, 2005), Excavation (Arabesque, 2000), Dust (Arabesque, 1997), and Flux (Songlines,1995). THIS WORLD OF DEW WILL BE THE THIRD RELEASE OF AARON SHRAGGE’S DUO WITH BEN MONDER. THE DUO, AN EXPLORATORY MEDITATIVE COLLABORATION, HAS BEEN PRAISED AS BOTH “THOROUGHLY MODERN WITH A DEFINITIVE SOUND...” (THE BIRMINGHAM TIMES) AS WELL AS “…LYRICAL AND HEARTWARMING…” (JAZZ TIMES). THE NEW RECORD WILL BE RELEASE ON HUMAN RESOURCE RECORDS AND CO PRESENTED BY BROOKLYN RAGA MASSIVE AND THE JAZZ GALLERY. AARON SHRAGGE & BEN MONDER CANADIAN CD LAUNCH + ELLWOOD EPPS' TOGETHERNESS! LANCEMENT DE DISQUE: DU DUO AARON SHRAGGE & BEN MONDER, ACCLAMÉ PAR LES CRITIQUES. OUVERTURE DU CONCERT PAR ELLWOOD EPPS' TOGETHERNESS! 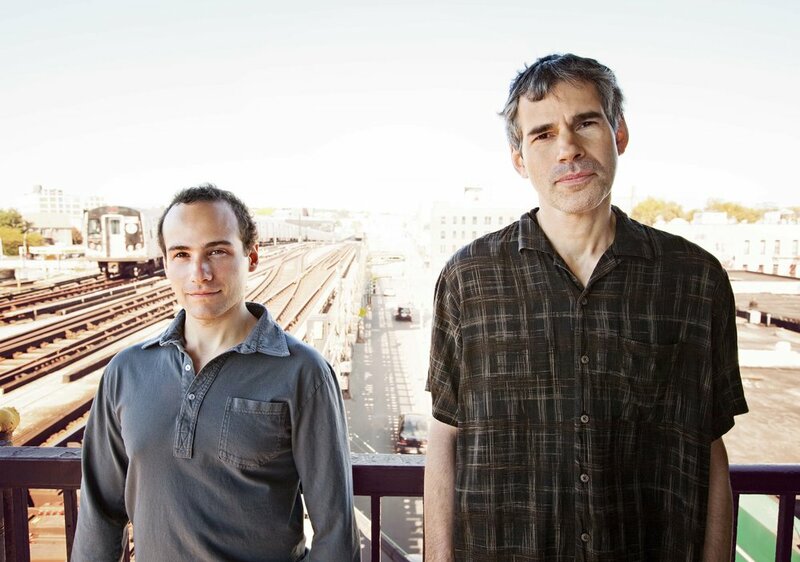 CD RELEASE CONCERT FOR AARON SHRAGGE & BEN MONDER'S CRITICALLY ACCLAIMED DUO. OPENING SET BY ELLWOOD EPPS' TOGETHERNESS! Togetherness! est un quintette montréalais qui joue la musique d'Afrique du Sud et au-delà : une musique joyeuse et aventureuse qui swing . Nous jouons les compositions d'Abdullah Ibrahim, Dudu Pukwana, Johnny Dyani, William Parker, Don Cherry, Ellwood Epps, et plus dans le but d'élever le groupe et les auditeurs. Togetherness! is a Montreal quintet that plays joyful, adventurous, swinging music from South Africa and beyond. We play compositions by Abdullah Ibrahim, Dudu Pukwana, Johnny Dyani, William Parker, Don Cherry, Ellwood Epps, and more in an aim to uplift the band and listeners together. This World of Dew sera le troisième disque du duo Aaron Shragge & Ben Monder. Le duo, une collaboration méditative exploratrice, a été saluée à la fois comme "profondément moderne avec un son définit ..." (The Birmingham Times) et "... lyrique et réconfortant ..." (Jazz Times). This World of Dew will be the third release of Aaron Shragge’s duo with Ben Monder. The duo, an exploratory meditative collaboration, has been praised as both “thoroughly modern with a definitive sound...” (The Birmingham Times) as well as “…lyrical and heartwarming…” (Jazz Times).